Come enjoy our second evening celebrating Family Literacy with children’s entertainer Mary Lambert. Wednesday, February 5, 2014 at 6:30pm at Notre Dame Elementary School (across the street from the Bonnyville Municipal Library). This is a fun and interactive evening that will keep your whole family laughing and engaged. This is a free event and everyone is welcome to attend. Come join us for a family fun evening to promote Family Literacy. Thursday, January 30, 2014 at 6:30pm at the Bonnyville Municipal Library. Come read with the Bonnyville Jr. A Pontiacs, the Bonnyville Pro-Rodeo Queen and Princess, and our M.L.A. Genia Leskiw. Wear your favourite team jersey, or dress in rodeo gear. This event is free of charge and everyone is welcome. Watch your mail boxes as of January 7th, 2014 for your copy of the newest issue of the Regional Learning Guide. Your right hand resource for courses, events, and community contacts. Keep it handy you will need it often! 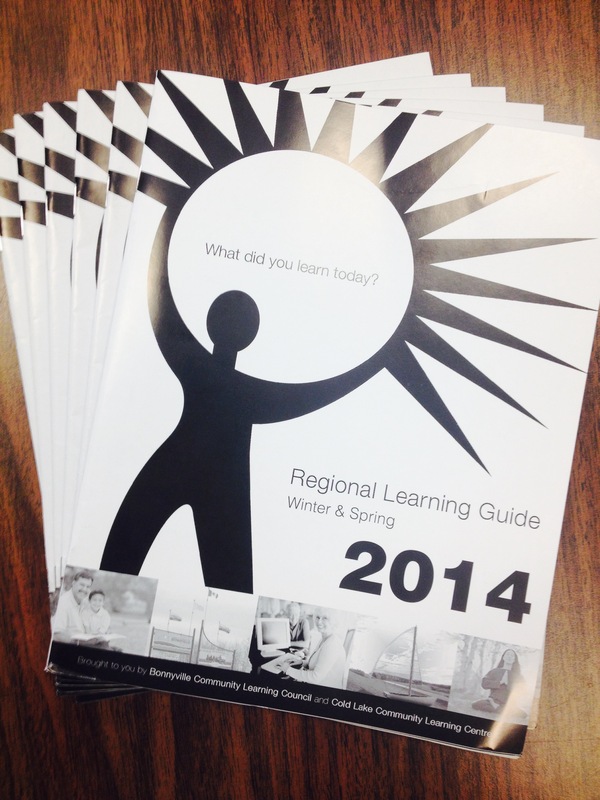 Watch for the 2014 Winter and Spring .PDF copy of the Regional Learning Guide, coming soon.